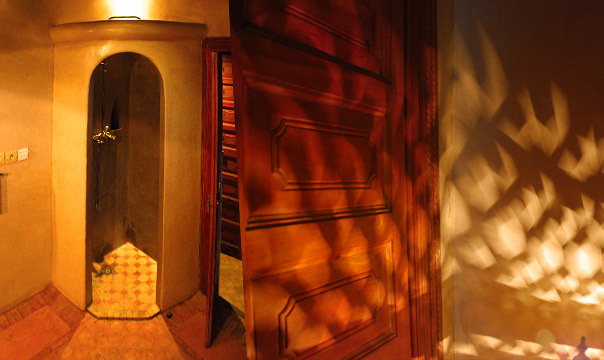 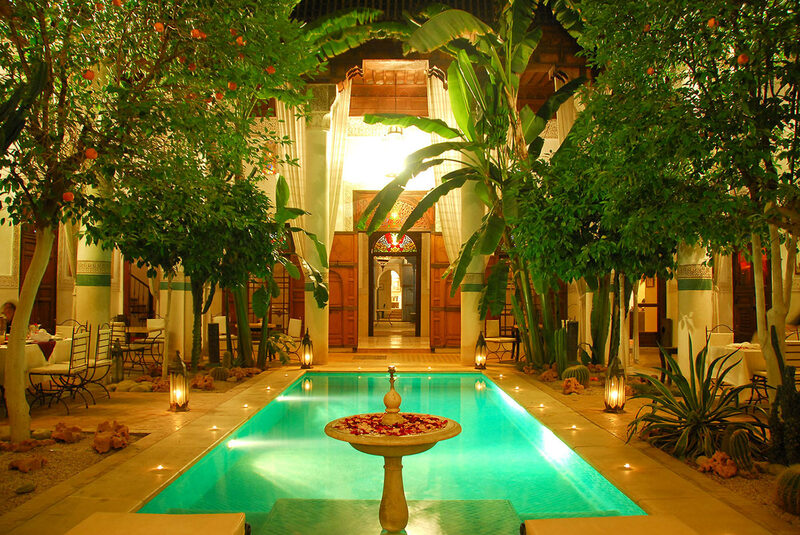 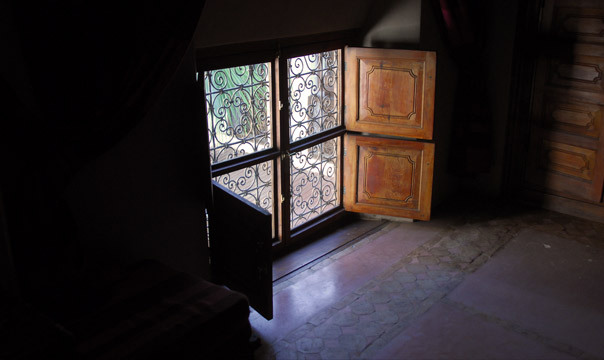 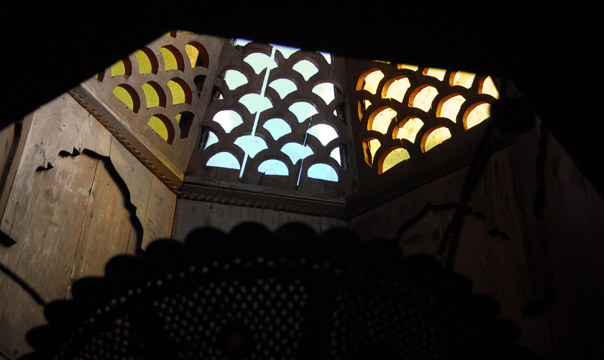 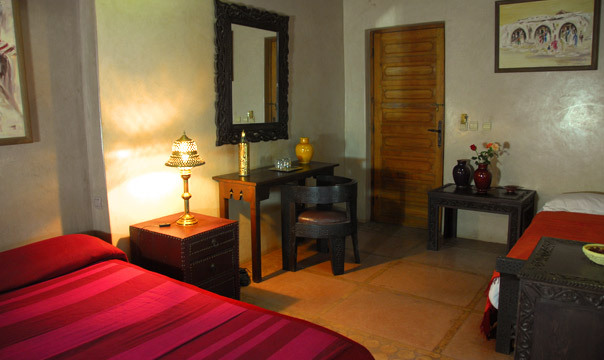 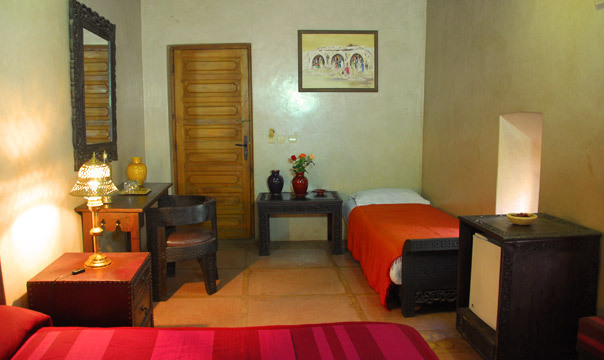 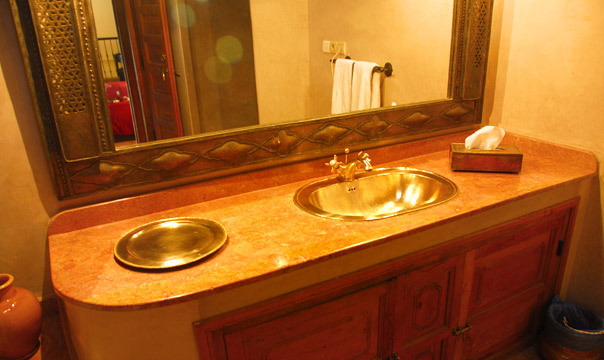 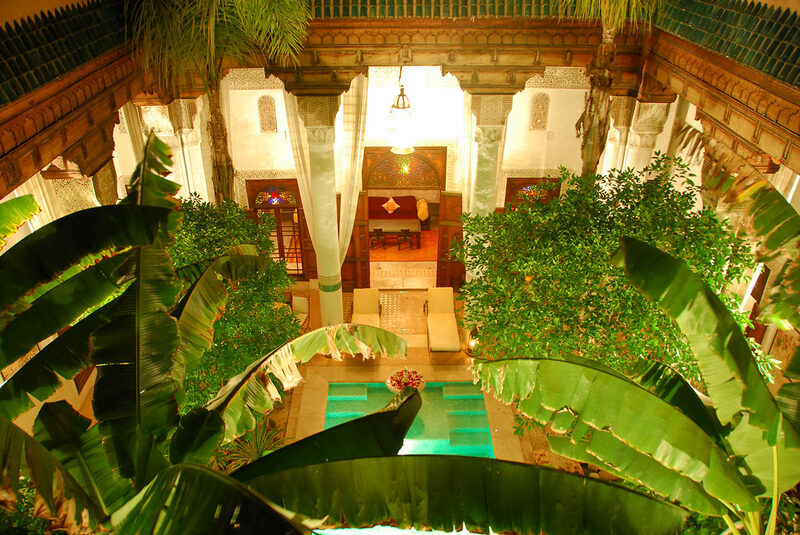 The first floor Marrakech room extends over 28 sqm and sleeps three people. 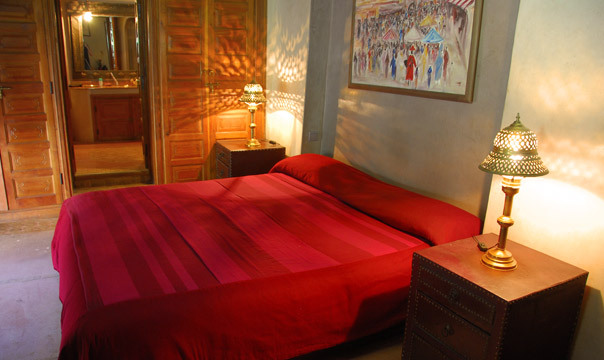 It has a double and a single bed. 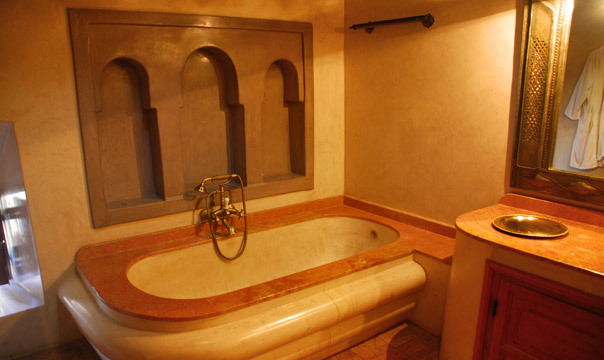 The bathroom is equipped with a shower and bath.